CCCline is a free Telephone Counselling service in Sri Lanka that provides emotional support and guidance for people facing difficulties or simply wants to talk to someone about their problems. By dialing CCCline’s 1333 number, callers will speak to trained telephone counsellors who are willing to listen and assist. It offers the caller counselling as well as a referral to other support services. CCCline is a confidential and a non-judgmental service where the caller will be treated with utmost respect. or that of someone else is at imminent risk. Please note: Nuisance callers will be monitored, warned and appropriate action will be taken. The primary objective of CCCline is to support people cope with crisis and get back on their feet. It also aims to support people build resilience to enable them to deal with future challenges. CCCline aims to empower the callers by supporting them to better understand their issues and come up with their own solution to their problems. We believe that in most cases, the callers are aware of what needs to be done and may only require someone to listen and provide support. For those situations where the callers may need assistance by a specialist service, CCCline telephone counsellors will refer the callers to other support services preferably in their local area. CCCline is an initiative by CCC Foundation in partnership with Lifeline in Australia. Lifeline is the largest telephone counselling service in Australia with over 50 centers across the country. CCCline telephone counsellors are trained under the guidance of Lifeline and CCCline is a part of the Lifeline International network of telephone counselling services around the world. 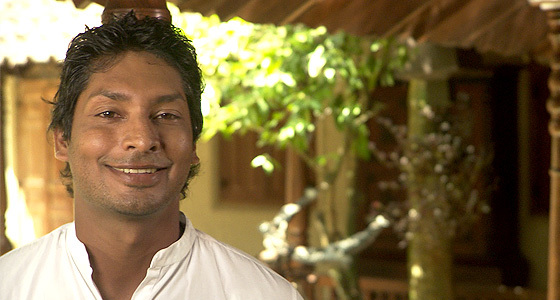 CCCline is proud to have Kumar Sangakkara as the ambassador for this vital service. With the assistance of Kumar and other strategic partnerships, CCCline hopes to create greater awareness of its service island wide as well as breakdown the social barriers and stigma associated with mental health in Sri Lanka.